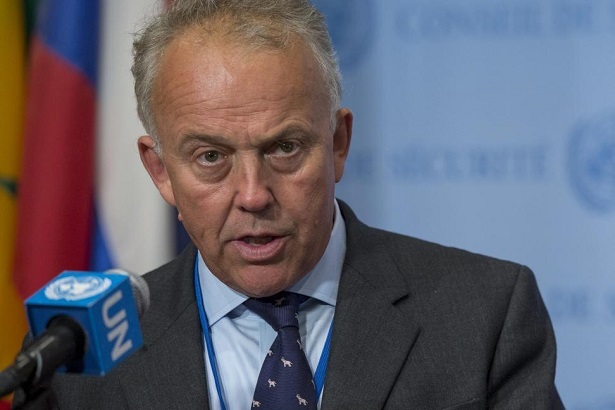 The Special Representative of the UN Secretary-General (SRSG) for Somalia, Michael Keating, condemned in the strongest possible terms last night’s attack on the Pizza House restaurant and Posh Hotel in Mogadishu that reportedly killed at least 19 people. Al-Shabaab has claimed responsibility for the attack, which was triggered by a suicide car bomber and targeted customers who frequent the restaurant and adjacent hotel. Five militants who seized control of the restaurant were subsequently killed by Somali security forces. “Last night’s attack was clearly aimed at civilians who were breaking the fast,” said Mr. Keating. “There can be no justification for such acts of wanton bloodshed. The holy month of Ramadan is a time of peace and compassion; the attackers have shown cynical contempt for this, and set back the prospect for a peaceful solution to Somalia’s problems”.